Coordinators: Martinez-Falero Eugenio, Martin-Fernandez Susana, Garcia-Abril Antonio D.
Sustainability indices are a powerful tool for sustainable forest management worldwide. This book brings together outstanding global results in three areas of application: inventory of the forest variables that determine the main environmental indices, description and design of new environmental indices, and the application of sustainability indices for regional implementations. 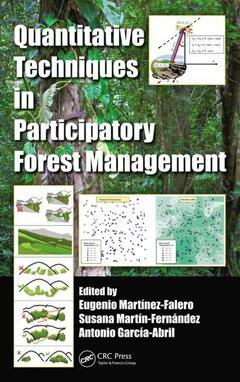 All these quantitative techniques create the basis for the development of scientific methodologies of participatory sustainable forest management.